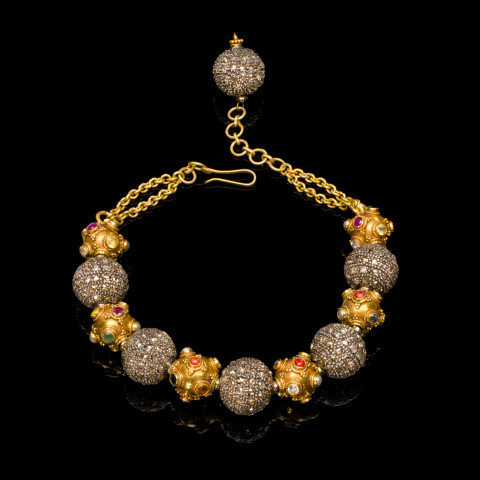 Brown Diamond and Gold Bead Bracelet. Handmade 18 karat gold Indian beads set with precious stones, silver and brown diamond beads. Unique piece.